About this time last year I was on day trip to Orkney to catch up with the Northern Isles MSP Liam MacArthur, and update him on all sorts of things Energy related, with my local colleague Graeme. 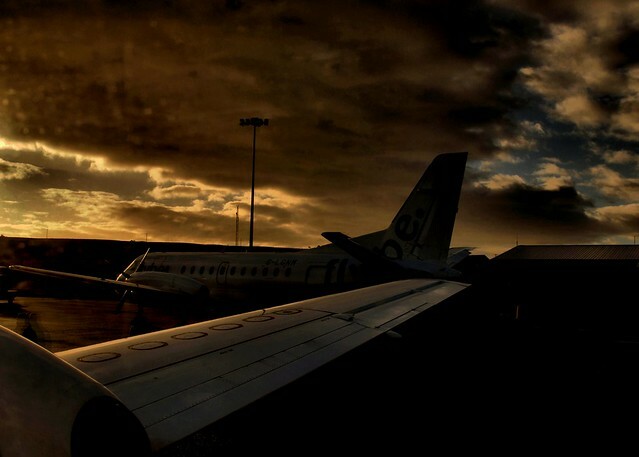 The weather forecast was dreadful, extreme gales, wind and rain, but despite the heavy skies, as you can see from the photo above taken at Inverness Airport, and the developing gales our local Airline Loganair managed to get me to Kirkwall airport 10 minutes early, despite all the ferries in the North and West being cancelled, and severe disruption on the roads. On the Saab 340 aircraft I ran into my pal Neil Kermode, Chief Exec of the European Marine Energy Centre, who had been in Inverness for a Dinner with the FM, Nicola Sturgeon, the previous evening, along with a number of my colleagues in HIE. The Loganair seating lottery meant we ended up next to each other, and started chewing the fat. Both Neil and I are a wee bit obsessed about recording the early days of the industry that we intimately involved in, the marine renewables sector, and Neil was fascinated when I told him about the series of articles on 50 years of Energy in the Highlands and Islands that I’ve been working on during 2015 for HIE’s half century (living in Orkney, he does not enjoy the Energy North Supplement of the North of Scotland Newspapers). Part one, looked at the “Highland Problem” part then two reflecting on the boom years of oil and gas. Part three looked at the Highlands and Islands role as an Energy laboratory, and part four looked forward to the next fifty years. In being so focussed on developing the wave and tidal sectors, Scotland has taken some pretty brave choices for quite a wee northern European country. Both Neil and I have dubbed our Nations focus on the Marine Energy Sector “Scotland’s Apollo programme – our Moon shot.” It was a description we had both used and discussed at different time with Alex Salmond, Scotland’s FM from 2007 to 2014, and a great supporter of Scotland’s Marine sector. Of course Apollo was over 40 years ago, so its easily forgotten, but for those of us of a certain age, born in 1959, and of certain inclinations, space, the Apollo programme, the moon landings were all consuming for us in those in the two years either side of 1970. Then the last Apollo, Apollo 16, came and went and we then discovered girls and Pink Floyd. But we never forgot the wonder of Apollo. So a couple of years ago when I was in Washington DC, on business, I took the chance to visit the Smithsonian Air and Space Museum, to complete – in a very small way – that personal, almost childhood pilgrimage. I went to see, and touch if I could, something called Columbia. It is right in front of you as you come through the door of the Museum. Under the Spirit of St Louis, and the Wright Flyer there are three space craft in a line. Mercury, Gemini and Apollo. 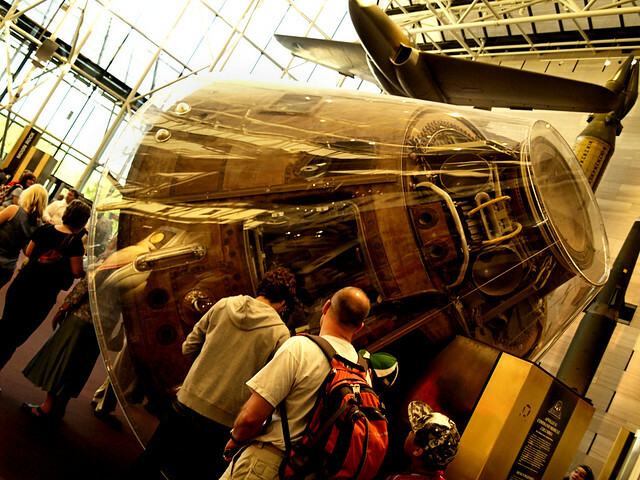 No ordinary Apollo – in fact it is Columbia – the Apollo 11 Command Module. I stood wanting to be enthralled, but then was almost immediately, embarrassingly disappointed. The capsule was tiny, it was tatty, and it was encased in Perspex. I tried to get close to get a clever arty style photo, but it seemed that a fine spring Washington morning had attracted most the population of the Eastern USA to the Smithsonian. I wanted to be alone with it, to study it in every detail, the heat shield, the thrusters, the scarred triangular windows. 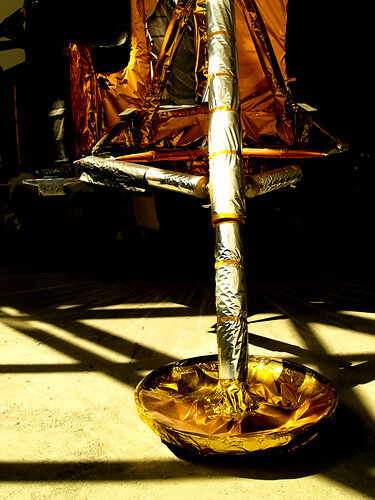 Instead it was surrounded by brash ten year old boys, their bored wee sisters and their Dads who were not even born when Columbia orbited the moon, and Eagle – the LEM – landed on the Sea of Tranquillity on July the 20th 1969. I wandered away a little bit deflated, wondering if it was me or the jet lag. You see forty years ago I was consumed by space, in the obsessive, almost autistic way that a ten year old boy can be. I lived, breathed and slept the Apollo programme. I had the books, the Airfix models, the newspaper articles and cuttings, with bright almost garish colour photos of Cape Kennedy, of Saturn 5’s, of the surface of the moon. (These were given to me by elderly neighbours, for ours was a house that did not take a regular paper, unless you counted the rolled up copies of the John O’Groats Journal and Caithness Courier sent on by Auntie Lena, that arrived a few weeks old, and only after they had been read cover to cover by Lena, Uncle Roddie, and my Grandfather – Gaga – who all lived at Beach Road, Thurso). And it was in 4 Beach Road that we all sat and watched what many TV and print observers at that time were calling the biggest thing in Human History – a landing on the moon. 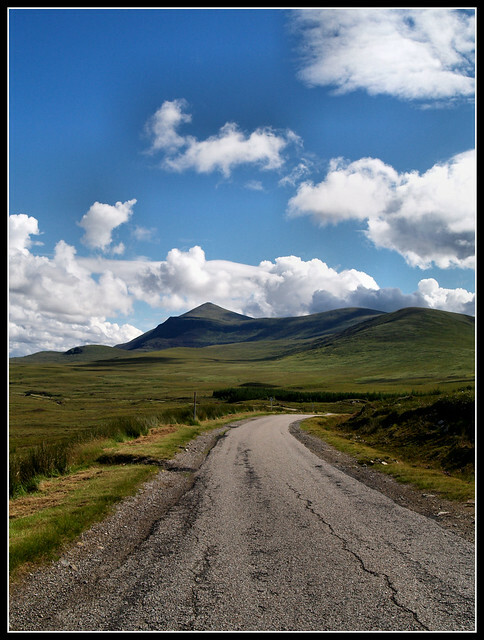 As a family – the Davidsons – we were in the process of moving from Glasgow to Inverness, via the Maternal Family – Mackays – home, in Caithness. We had moved up to Thurso in early June, indeed gone to School there for a month, whilst a new family house was being sought in Inverness. So for the summer of 1969 my space obsession moved to Caithness, and for the next four months my brother Kai and I shared a bed in the corner of my grandfathers room, waking each morning to the sounds of the R4 BBC news at 7:00 from his bedside radio. In my half awake, half sleeping state I remember thinking how little news about Apollo was on the radio, compared to what seemed wall to wall coverage on the TV. My abiding memory is of listening to endless discussions about the political implications of General Franco’s choice of successor, now King Carlos of Spain. Spending the summer living in my Grandfathers house (in name only – he was looked after by Lena and Roddie) was not a new experience for us. We had lived their for the summer of 1966, when moving from Shetland to Glasgow, and longish summer visits seemed to me quite common. So I had already a circle of friends, lads my own age whose interests alternated daily between that very Highland interest of fishing in Scrabster Harbour, and building model space rockets, powered by a dangerous little device called the Jetex rocket motor – a sort of miniature bomb, with solid fuel pellets that made the most smoke possible in 3 seconds of combustion. The Jetex rocket motors and fuel came from Jessie Allens toyshop in the Towns main street, but were stored upstairs with the serious toys, meccano sets and bike accessories. Not cheap either, we used all our pocket money on buying parts and fuel, but the summer fun was mainly bankrolled by a slightly older American forces kid, of which Thurso had a good smattering due to the US navy base at Forss. As the US kids started school at 6, rather than 5 like us Scots, they were always a year older in their respective primary class. Plus they were minted. This lad always had lots of cash which he was willing to share on rocketry equipment. So Thurso beach echoed to the roar of unsuccessful toy rockets and model planes, and modified toy cars all crashing and burning in huge clouds of smoke. But that was the fun. If we ever had got one to fly I think we would have been disappointed. Fishing in Scrabster also involved fire, pollution and the sort of dangerous activities that would have a 10 year old in 2016 up in front of the children’s panel, or at least SEPA. Catching saithe and cod off the old tanker pier required bait, proper bait, and the consensus amongst us was that boiled limpet was the very best. I suspect sand worm would have been better, as all the serious older boys were out at low tide collecting worm, and they always seemed to be able to reel the fish in. However boiled limpet for us. The procedure for collecting and cooking the molluscs was both simple and terrifying. First step, “borrow” a galvanised tin bucket. Then spend a couple of hours filling it with limpets (not straightforward, as getting them of rocks is an art in itself, a very thin knife was prized for this), and top up to the brim with sea water. Then find an old tyre on the rocks under old Scrabster castle, fill it with driftwood, put the bucket in the centre of the tyre and light. All to boil a pail of fish bait. The fire and smoke was appalling, and of course it burned for about an hour, and would not be cool enough to use until the following day. 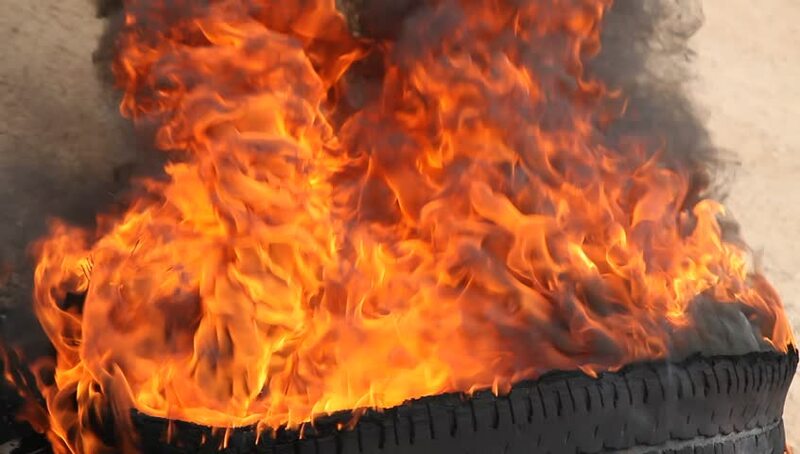 So an evening activity, with the bucket to be collected from next day from the charred circle of metal and ash. So, living permanently in a summer uniform of strongly smelling smokey T-Shirt, Khaki shorts and leather sandals, I was rarely a home, except for meals and when there was a space programme on the 405 line TV that sat directly in front of my Grandfathers chair. He didn’t leave it very often, as he was in the final 18 months of his life, and forty years of smoking Woodbine cigarettes had finally caught up with him. So he sat in his armcahir, with an oxygen bottle at his side, a packet of the strongest mints available to mankind in his pocket, and a tin of snuff on the mantelpiece. He sent me out to buy the snuff and mints, giving me and Kai a ten bob note, and winking at us “neever tae mind the change”. Occasionally we would head down to the Harbour, in his Wolseley 15/60, early in the morning, to check up on the landings from his boats. Then back home for a second breakfast, or sometimes to his pub, the Marine Inn, to chat to my Aunt Lena, as she organised the cleaning and opening of the bar. We would often take a large packet of fish home for lunch (my Uncle Roddie seemed to eat nothing but steamed haddock, and drank only milk reconstituted from powder. Ulcers I was told, and that he was “a slave to his stomach”). One memorable morning, we came home with half a dozen lobsters in a cardboard box, claws all sealed up with rubber bands. Gaga swore me to silence, and we crept quiet as mice to the side door of the the house. He opened the outside door, checked that the inner door from the lobby to the kitchen was closed, and we took the lobsters out the box, carefully removed the rubber bands, and set them free in the house! Gaga then called out that we were home, and Lena came through to the kitchen, opened the door, and screamed more than I thought possible. Lobsters were everywhere, and then – to my immense gratification – my aunt did something I’d only ever seen in a Tom and Jerry cartoon. She grabbed a broom, and jumped on a chair, swinging widely. Gaga laughed and laughed, and eventually Lena calmed down and had a wee snigger at her own expense. We then had the fun of collecting six lobsters, getting their claws secured, and ready for the pot. I got a real nip from one, which drew blood, but man it was worth it. It still makes me chuckle now. 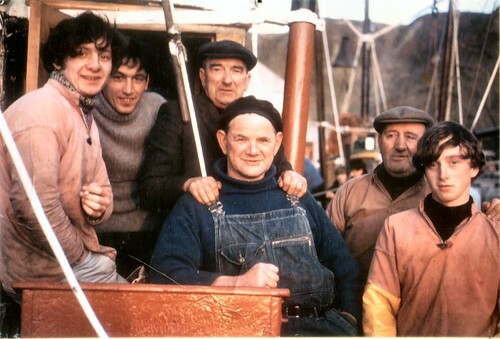 The photo above shows Hamish Mackay, centre back, on a summer morning in the late 60’s, with the crew of the FV Primula, skippered by his good pal Angus Mackay, who was also the coxswain of the Thurso Lifeboat, who is just to his right in this picture. Angie Mackay was at the helm of the Thurso lifeboat when it discovered the upturned hull of the the Longhope Lifeboat T.G.B. (thought to be named after the mysterious donor who funded it) after she was lost trying to reach the Siberian cargo ship Irene, in difficulties east of Orkney on the 19th March 1969. All the crew were drowned, and I still recall them talking in hushed tones, forgetting I was sitting with them, discussing the problems of recovering the T.G.B. and towing her back to Scrabster, with the bodies of the crew still in the vessel. But often I sat just at Gaga’s feet and watched TV with him, and only as an adult realised that he been born before the Wright Brothers took that first flight, and served in the RAF during WW1. In the end though Apollo 11 just came down to a warm summer evening, a Sunday I think, three days after watching the Saturn Five blast off from Florida. I’d been in the house all day, watching the wall to wall coverage, drinking what seemed endless supplies if orange squash in strange glasses from Gaga’s pub, the Marine. We all sat there never imaging that anything could go wrong and listening to the terse exchanges between Aldrin, Armstrong and Houston, in blissful ignorance. The implications of those computer alarms, and the low fuel warnings I only understood in retrospect, as an adult. But I knew – space geek that I was – that they had landed a full second before everyone else in that Thurso front room. I knew what it meant when Aldrin said “contact light on” as we watched moon dust get blown on the B&W TV screens in that triangular LEM window that we – and 10’s of millions of other people – were watching. Then “Engine off”. Yet I still think that Armstrong’s sentence “Tranquillity base here – the Eagle has landed” more powerful and important than his more famous first words on stepping of the LEM. Armstrong is on record saying he thought so as well. But it was Houston’s reaction “Thanks Apollo 11, there’s a bunch of guys turning blue here – we are breathing again” and the muffled cheering in the background that brought home to me the enormity of the undertaking – yes even at ten. Then off to bed early, and up very early to watch the moon walk. But it’s the landing that still gets me, especially as I grew older and understood the meanings of all those alarm calls, and Armstrong taking over the controls of the LEM to fly them over that boulder field, and the enormity of that low fuel warnings. That bit, to me is the wonder and success of Apollo 11. All this was brought home to me back in the Smithsonian an hour after my disappointment at the front door. I’d discovered the huge Apollo section at the back of the museum, including an original – never used – LEM, with a full AV booth next door which played the Apollo 11 landing video on an 8 minute loop. I stood and listened to the whole thing twice, with a couple of about my own age, and at the end of the second loop our eyes met and we smiled and we reminisced about where we were and what we were doing on that July night in 1969. I’d not been round the whole museum, but I knew that now was the time to leave, to think and reflect. Just before Christmas I took a run across the North Coast from Thurso to Coldbackie, and then south to the Black Isle, and rediscovered an old passion. I love driving single tracks highland roads in the winter. There I’ve said it, and am happy to be destroyed on-line by friends, family and foes alike who quite rightly strive for the Highlands and Islands to have a road system like any other part Scotland, let alone the UK. Any other time of the year driving single track roads is a pain. Busy, congested and rife with tourists – bless em – who “know not what they do”. But in winter, its a dream. More like a ballet in fact as the folk you meet on the road are experienced local drivers, who can negotiate the roads and passing places with a telepathic ability that minimises stopping to a bare minimum. Right across the energy world 2015 was, by any account, a pretty tumultuous year. We saw dramatic changes in renewable subsidies; Brent crude slipping under $40; governments struggling to reach agreement in Paris at the UN Climate Change COP21 conference; the Cromarty Firth full of cold stacked rigs; the UK’s electricity capacity margin down to 1.2%; exploratory drilling in the North Sea at its lowest for decades; community projects reeling from regulatory changes; the north east suffering thousands of job losses; major wave companies entering administration – the list could go on and on. Drilling under the rhetoric and spin (if you will excuse the pun), 2015 has been a year where for many everything has changed, but for others very little has changed – and for some change is bringing significant opportunity. Onshore wind seemed to be the biggest loser, with early closure of the ROC support mechanism and a clear exclusion of onshore wind from future subsidy schemes sending a storm through the sector. However, and despite a real loss of investor confidence and future uncertainty, it seems that there will be a bit of a wind farm boom over the next couple of years, as developers rush to build projects in the face of looming deadlines. Yet when the rush is over, and the industry contemplates a future without government support, they will be looking to locations with high wind speeds and good grid connections. And that will be the north of Scotland, with the Beauly-Denny upgrade now complete and the Caithness-Moray link under construction. Paradoxically, these dramatic changes to onshore wind support could be the catalyst for solving the ongoing problem of getting grid to Islands. Through strong lobbying from Scotland, onshore wind projects in the Scottish Islands will be eligible for future subsidy through the Contract for Difference (CfD) scheme, wherethey will be treated the same as offshore wind farms. This means that planned wind farms in Orkney and the Western Isles could finally proceed, triggering the laying of those critical subsea cables. Offshore wind also had a year of uncertainty, with some Scottish projects under judicial review, and until the Westminster autumn statement no confirmation that there would be a CfD auction in 2016. So assuming that the industry can get its costs down, and insiders seem pretty confident, it looks like there will be pipeline of projects around the UK up to 2020. Of course, SSE’s Beatrice wind farm already has a contract for support from the UK Government, and planning for its construction is in the final stages. For the Highlands and Islands this is a huge project, starting in 2017, and in value is worth at least two Forth crossings. The past month also saw the approval of the Hywind Floating wind project, the world’s largest yet, and although it is being built in Norway, Scottish companies are winning some important contracts, with the suction anchors being supplied by GEG at Nigg. However there is no getting away from the fact that some sectors have been hard hit, solar PV in particular. In the north, it’s been Community scale projects that have an uncertain future, with unexpected changes to the feed in tariff, VAT hikes, and more expensive project finance. These problems pale almost into insignificance though beside the issues facing the oil and gas sector. A perfect storm of low oil price, aging offshore assets, high costs and an almost complete cessation of exploration drilling, suggests that this downturn is just a little bit different from the cyclical low oil prices episodes of 10 and 20 years ago. Yet every cloud has a silver lining, and a relentless focus on cost reduction brings opportunity for smaller players further down the supply chain. Majors are bypassing Tier 1 companies and looking to their suppliers for cheaper, more flexible solutions. 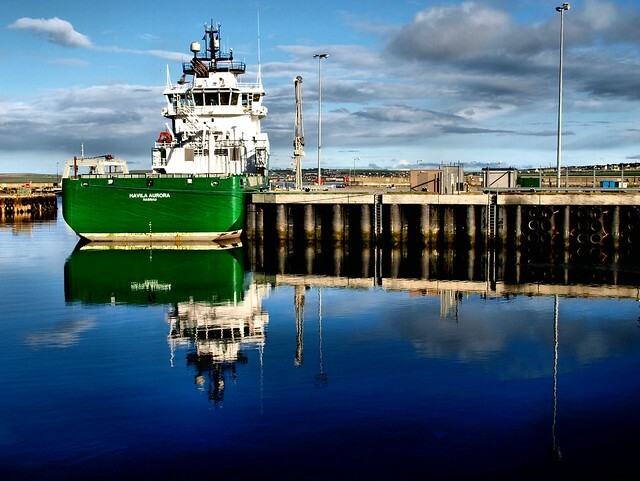 Highlands and Islands ports nearer the northern and western oil fields are seeing renewed interest in their service base potential, and a lower cost base and smaller margins are now a critical part of any tender. It was the marine renewables sector that saw the most positive developments in the past 12 months. 2015 was the year that Wave Energy Scotland got going, restarting the Scottish wave sector after the disappointment of the administration of Pelamis and the major downsizing of Aquamarine (which eventually closed last month). Two major calls and a dozen contracts awarded, in the areas of novel wave devices and power take off systems, saw Scottish companies and universities win a major share of multi-million pound contracts. 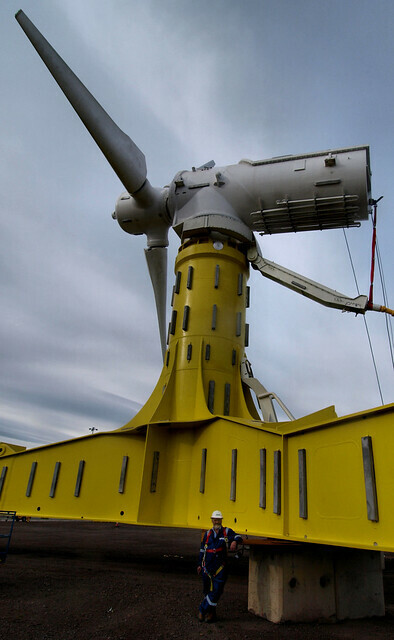 Yet is the far north that saw real projects “getting metal wet”, with Nova Innovation installing its three community scale tidal turbines in Shetland, and Meygen completing its onshore substation, directional drilling and cable installation in the inner sound in Caithness. JGC in Caithness has finished the huge weights that hold the structures to the seabed, ready to be loaded out from Scrabster. The Nigg Energy Park in Easter Ross is busy completing the turbine foundations, and the four turbines will be ready for installation in the spring. Indeed the Atlantis turbine is being built at Nigg, using a workforce able to move between oil and gas, nuclear, offshore wind and tidal structures. With Scotland now producing 50% of energy from renewables, we are well on the way towards the 100% target for 2020. Attention is now turning quite rightly to strategies and policies focused on decarbonising the nation’s domestic and industrial transport and heat markets, , and major investments in energy efficiency. This is a significant change for organisations across the Scottish public sector, and poses a quite different challenge for regions like the Highlands and Islands, rural, off the gas grid, car dependent and with a housing stock comprising older, stone-built dwellings. However under the headlines, things that may seem small and incremental are fundamentally changing how energy, and in particular renewables, are used across the Highlands and Islands. Calmac’s latest low emission hybrid ferry was launched last week. Silent electric buses are now a common sight on the streets of Inverness. ; Roof-mounted PV solar panels are so widespread that nobody gives them a second glance. Orkney has the highest concentration of electric vehicles in the UK apart from London. Small farm scale wind turbines are as numerous as silage towers. Wood pellet boilers and air or ground source heat pumps are ’de rigueur’ on any new or refurbished house. Even my Black Isle coalman now delivers clean packs of wood briquettes alongside the sacks of house coal. The past 12 months have been a bit of a rollercoaster, but a funfair has highs as well as lows. Onshore wind has a steady pipeline of projects that need built out in the next 48 months, offshore wind will start construction in 2017, tidal projects are in construction, with more down the line. There will be pain, but firms will adapt and reform, as they have always done. 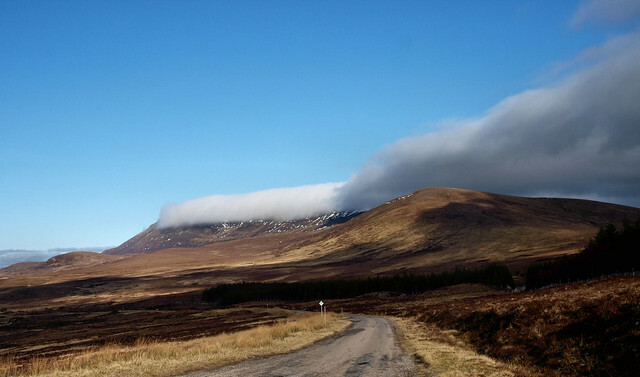 The great strength of the Highlands and Islands is that it’s not just a renewables supply chain, or an oil and gas supply, or a nuclear supply chain, but an energy supply chain. But for me, 2015 was the 50th Anniversary of the establishment of the Highlands and Islands Development Board, and I had enormous fun in researching and writing about the story of energy in the north of Scotland over the past half century, and seeing it published in Energy North. 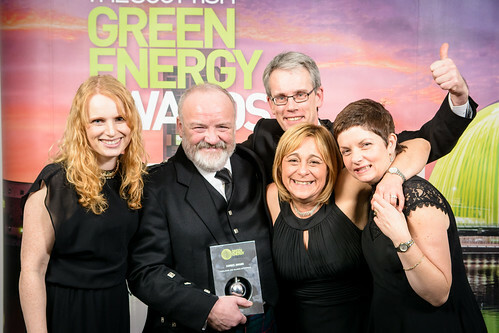 This culminated in HIE winning the prestigious Judges prize at the Scottish Renewables Green Energy Awards, in recognition of our contribution to the energy sector over decades. In lots of ways, 2015 was a good year. Now, let’s make 2016 even better. This was published in the December 2015 edition of the North of Scotland Newspaper’s Energy North Supplement.